Coming Soon.. Destined in the Dark Castle Lords Winter Anthology..
My next short story release will be coming soon! 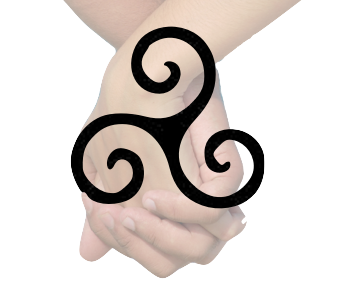 If you love Celtic, warriors, and of course destined romance then you’ll want to read Destined! The Book Bloggers and Publishers Online Conference is coming up fast! Just over a month from now – from Mar 7th to 11th. I attended last year and learned so much! This year I’m serving as a panelist for several panels as well as a moderator for several more. I’m pretty excited! We are going to be talk about some pretty important topics! Not only are the discussions great, but everyone who registers gets free books! 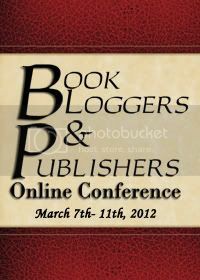 This is the 3rd Book Bloggers and Publishers Online Conference, March 7-11 2012. We are excited to welcome some fabulous publishers and bloggers this year as we work together to better understand the relationship between authors, bloggers, and publishers in the industry. There will be audio panels and simultaneous chat rooms for the live interaction. All panels are recorded and available to attendees for a month after the conference. This is an opportunity to make new friends amongst bloggers and other industry professionals. There will be authors, editors, speakers from PR and Marketing departments, publishers, and specialists in social media, time management, and online organization. All attendees will also receive books for giveaway from participating publishers. There are print and e-book titles available. Titles are being added to the giveaway page daily. Below you will find a listing of the Panels and a short list of the panelists speaking at the conference. Approaching Authors – The Creative Process for Authors and Bloggers – What Authors look for in Reviews – Publishing: The Options Authors Have Now – Should Authors Review? What PR Departments do – Working with Private PR Companies – Blogging’s Role in “Traditional” Media – Building a Relationship with Publishers – Obligation to Publishers: What are the Expectations? What Bloggers Want: Don’t make Publishers Read Our Minds – Book Blogging as a Business? For more information and to sign up go to Paco Media Group today! She wears pretty autumnal leaf colours and has transparent green wings like a cicada. Find out your fairy names with The Fairy Name Generator! This is such a great organization. It’s all about ending poverty and other global causes. Currently they are trying to end HIV in children by 2015. They make very simple things to do very easy to donate whether it’s buying a T-shirt or a bracelet, it contributes while signing their petition. Join (RED) and the One organization goes hand in hand. They service the same global causes. Easy to help by buying some of their products from a variety of vendors such as Monster, Nike, Converse, Gap, etc. St. Jude is one of my favorite charities. 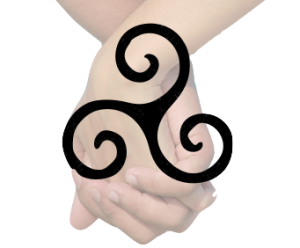 It is helping provide care for those who need with when a child has cancer. They have such a huge success rate in helping children. They also have various ways of donating whether buying through of the stores such as Kay’s Jewelry, Online, eBay and now through Facebook.